Mr Bryan Knowles Whalley was born on 5 October 1930 and is married to Elizabeth. He joined the World Traders’ Company on 1 October 1996 having been introduced by Mr Jim Davis. 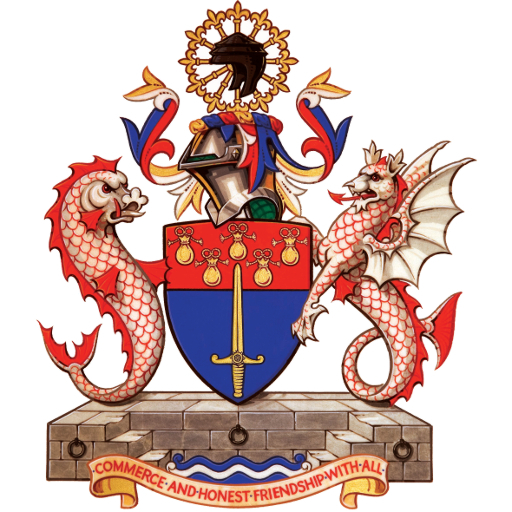 He was clothed as a liveryman on 16 March 2000, having received the Freedom of the Company on 9 October 1996, and the Freedom of the City of London on 13 July 1998. Educated at Bradfield College in Berkshire, he volunteered to do National Service in the Coldstream Guards which was followed by 17 years’ service in the Territorial Army with the Royal Fusiliers. After completing National Service in the UK, Hong Kong and the Sudan, he joined an old established food importing company as a trainee, becoming a Director ten years later and subsequently Managing Director. A three year move to the Guinness Peat Group followed before he established his own company in 1978 which he still runs. 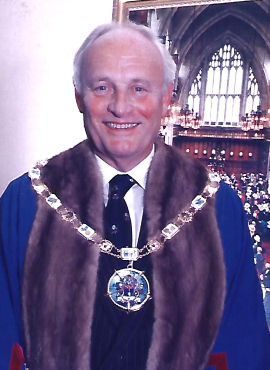 He is a juror of the Courts Leet of Southwark, a member of the Tower Ward Club and is actively involved with the Royal Fusiliers Association. He qualified as a private pilot in 1964 and as a Yacht Master in 1974 and is understandably still interested in aircraft (with propellers) and boats (with sails). Other interests now include watching sport, twentieth century history, and his family, but not necessarily in that order. Bryan and Elizabeth have been married for 36 years and have two daughters, one son and three grandsons.